All A Bunch Of Momsense: Wowza - the Holiday Giveaways! Wowza - the Holiday Giveaways! There are like 1,001 people giving away UBER COOL STUFF! So, this post is all about the goodies that you WANNA win. Only, you can't, see, 'cause I'm gonna. By visiting Keely at www.MannLand5.com! She has up to SIX different ways to enter! BUT - her giveaway ends at midnight TONIGHT (Dec. 9th). So, hustle up! 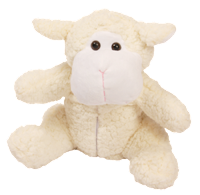 Also ending tonight at midnight is Mama M.'s Lucy the Lamb Giveaway! Now, this is no ordinary stuffed animal! There is a cute little hot/cold pack tucked inside the snuggly, cuddly lamb, perfect for what ails you your little one! Bloggy Blog Designz wants you to win a Blog Makeover! Check out their deets, then click the button to link to 'em! Bloggy Blog Designz is having ANOTHER Holiday Giveaway!!! Last week every entrant won something, so they decided to do it all over again! 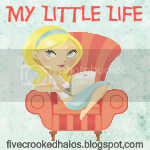 They are giving away blog designs and all kinds of goodies. Plus ALL entrants will receive 20%off their purchase through the end of the year! Be sure to check out their website for more information, or to enter yourself. Take a look at their portfolio and packages to see what you want for Christmas ;) With 6 giveaways this week, who knows whats in store for next? The first 5 entrants will receive a $10 giftcard. The giveaway will close on Dec. 13th, so be sure to have your posts done and comments left by midnight! Good Luck to everyone! We are so excited. Merry (early) Christmas! Finally, Jen from 11th Heaven's Homemaking Haven has hooked up with Hotslings and is giving away a lovely baby carrier! 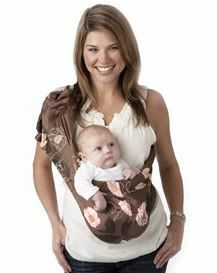 I so wish that I had had one of these when I was toting around my little people! So, don't miss out on YOUR chance! To enter click HERE. This one ends at midnight on the 19th, so you've got plenty of time to check out the ways to enter! Holy smokes, I almost didn't want to tell you about forgot this one! MckMama & HP want me someone to have a fabulous-o TouchSmart 600 touchscreen desktop computer. Oh, my heart would stop if it were mine. Thanks sooo much for entering! Good Luck, I love those earings on Keely's page! You're so cute! Good luck!! Ok...I have to ask, just what on earth would you want with a baby carrier now? Hmmm? Fair question!! Not for me, ThankYouVeryMuch! I have a dear friend, however, who recently learned that she is expecting her first child, and she'd LUUUUV it! I'll be the hero of the baby shower! I won Keelys giveaway!! Yay!! Oh and that baby sling is awesome! Wish I needed one! Just wanted to drop in and tell you congratulations on winning Lucy the lamb! I just read on Mama M's blog that you are the winner. Hooray for you!!! !